Attention! This is an older version of the Zbrush exporter, we recommend that you download the latest version here. Big news for ZBrush users: with the Zbrush summit coming this weekend, we’ve just released version 2 of the ZBrush exporter! 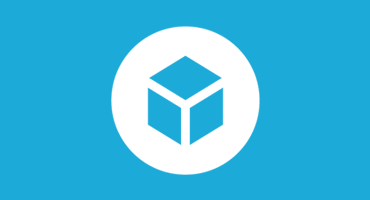 Optimizing your models and publishing straight to Sketchfab is now easier than ever. Whether you’re new to the exporter or just need to upgrade, you can get it here. This video walks through the new features and upload process. You can find more detailed instructions and screenshots below. After installing the plug-in, you can find it in the ZPlugin menu. The process is fairly straightforward – just follow the tool’s steps in order. Enter your API key, which you can always find in your password settings. You can also check for updates to the exporter from this section. Next, build your UVs and bake the textures. Painting, normal, and AO maps are all enabled by default, but you can turn them on or off at the bottom of this section. Between build UVs and Bake, you may want to Restore Visibility, so you can see your whole model again. These steps may take some time, depending on complexity of the textures and the number of subtools in your scene. Next, run Preprocess followed by the Decimate function. This can also take quite a while for big models. The default level of decimation is 25%, which you can change with the slider. Enter a model title (required), description, tags, and mark it as private if necessary (PRO accounts only). We hope you enjoy the update, and we’ll be looking forward to your uploads! As always, if you have questions, comments, or concerns, feel free to reply here or drop us a line. Does Sketchfab exporter work with Zbrush R8. I’m not able to get it to show up in my plugin list? Hmm, can you try installing it in the ZPlugs 64-bit folder instead of the default 32-bit folder? It won’t let me decimate the model, it says I need to preprocess the model first but I’ve already done that now three times and still can’t decimate? Anything I can do to fix this? Some changes have been made in ZBrush 4R7 and above in the decimation tools. As a result, we cannot use/call the decimation features from another script anymore. The only thing to do is to press “Decimate All” in “Decimation Master” palette (in plugin menu) instead of clicking on “Decimate” button in Sketchfab plugin. I’ve been able to upload my model to the site but now it’s coming up with a semi transparent chequerboard over the top. My textures are on the model but this chequerboard is like a layer over everything. Any ideas as to why this is and how I can get rid of it? It’s a known issue, but it’s really a bug on Apple’s end. We’re considering a workaround, but it’s tricky. Oh okay, yeah I’m using safari, I’ll try using a different browser. is it supposed to be working for Zbrush R7 ?? I did put everythink in the good folders but when I launch Zbrush and look under zplugin … no sketchfab. Did you try the ZPlugs 64-bit folder instead of the default 32-bit folder?